November 4, 2011, Milford, CT – Bret Dâ€™Agostino, son of world famous audio designer Dan Dâ€™Agostino, announced the launch of his new audio electronics company, Bully Sound Company (BSC). By cultivating a life time of experience into a new company and product line, Bret hopes to engage and capture an audience in a seemingly difficult economy. â€œThere are not a lot of companies that offer a real value in terms of component quality, workmanship and service.â€ â€œWorking with and around many of the finest minds in the audio industry for close to 30 years coupled to having an audio legend father at my disposal, is what separates Bully Sound from the plentiful competition, â€œ says Bret Dâ€™Agostino in reference to this start-up effort . 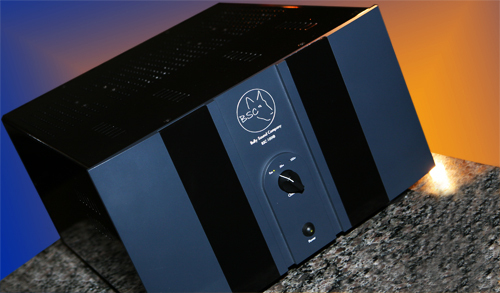 The first product to be released and shipping next week is the BSC-100m, class A 100 Watt monaural amplifier $14,750 per pair. This amplifier will be followed by a 60 Watt stereo version and shortly a remote control line level preamplifier, setting the mark for this new company. These efforts represent the top of the BSC line. New designs are in process for the next group of components slated to be less expensive but sharing much of the technology in these flagship models and still made In the USA. Bret Dâ€™Agostino is best known as the Technical support and National sales manager for Krell Industries Inc. up until September of 2009. Shortly after departing Krell, he contributed to the formation of Dan Dâ€™Agostino Master audio systems and still continues to work closely with them. In November of 2010 Bret formed the Bully Sound Company to support a different segment of the market place and create more affordable high end audio products. For more information on the Bully Sound Company, please visitÂ http://www.bullysound.com. Bully Sound Company was founded in 2010 by Bret Dâ€™Agostino. Bret is the eldest son of Dan Dâ€™Agostino an audio legend and co-founder of Krell Industries Inc. and Dan Dâ€™Agostino master audio systems (http://www.dagostinoinc.com.) Bret spent most of his professional career working in the audio and electronic contract manufacturing industries. Bully Soundâ€™s products are designed and manufactured in Milford, CT USA using the best materials and manufacturing practices. Philips Blu-Ray HTiB and Wireless HDMI - Sweet!